Below you fill find all funeral homes and cemeteries in or near Tamarac. Suburbs of Tamarac: Ft Lauderdale, Sunrise, Lauderhill, Laud Lakes, Lauder Hill, Lauderdale Lakes, Ldhl, North Lauderdale, Inverrary, Oakland Park, Plantation, Sabal Palm Postal Store. Tamarac is also known as: Broward County / Tamarac city. Their current mayor is Mayor Harry Dressler. Zip codes in the city: 33309, 33319, 33320, 33321, 33323, 33351, 33359. Broward County funeral flowers can be purchased from one of the local funeral shops we partner with. Some of the notable people born here have been: Kevyn Scott (american football player). Tamarac is a city in Broward County, Florida. As of the 2010 United States Census, the city had a population of 60,427. It is part of the Miami–Fort Lauderdale–Pompano Beach Metropolitan Statistical Area, which was home to 5,564,635 people according to the 2010 census. It was noted on February 20th, 2019 that Marcia Camer-Hecht (Goldman) passed away in Tamarac, Florida. Ms. Camer-Hecht was 81 years old and was born in Brooklyn, NY. Send flowers to express your sorrow and honor Marcia's life. It was revealed on March 22nd, 2018 that Ina Jean Fenchel (Luster) passed away in Tamarac, Florida. Ms. Fenchel was 88 years old. Send flowers to express your sorrow and honor Ina Jean's life. It was reported on January 31st, 2018 that Christine Coia (Rossi) passed on in Tamarac, Florida. Ms. Coia was 95 years old and was born in Providence, RI. Send flowers to express your sorrow and honor Christine's life. It was noted on January 28th, 2018 that Jean McKittrick (Reilly) perished in Tamarac, Florida. Send flowers to share your condolences and honor Jean's life. It was written by Sarasota Herald-Tribune on January 5th, 2018 that Irene Mary Krecko passed away in Tamarac, Florida. Krecko was 85 years old. Send flowers to express your sorrow and honor Irene Mary's life. It was reported on December 2nd, 2017 that William F Colavecchio passed on in Tamarac, Florida. Colavecchio was 71 years old and was born in Providence, RI. Send flowers to express your sympathy and honor William F's life. It was noted on April 26th, 2017 that James S Galanis died in Tamarac, Florida. Galanis was 82 years old and was born in Ayioryitiko, . Send flowers to express your sympathy and honor James S's life. It was reported on June 1st, 2016 that Ann Primack (Engerman) passed away in Tamarac, Florida. Ms. Primack was 106 years old. Send flowers to share your condolences and honor Ann's life. It was reported on April 23rd, 2016 that Micki Endliss passed away in Tamarac, Florida. Endliss was 75 years old and was born in Chicago, IL. Send flowers to share your condolences and honor Micki's life. It was written by Flint Journal on December 13th, 2015 that Gerald David "Jerry" Ross died in Tamarac, Florida. Ross was 79 years old and was born in Flint, MI. Send flowers to share your condolences and honor Gerald David "Jerry"'s life. 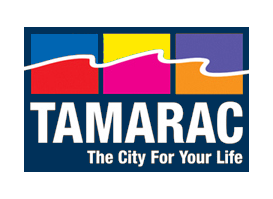 The official website for the city of Tamarac is http://www.tamarac.org. Need flowers delivered to a funeral home? It's easy to find a TAMARAC, FL funeral home from this list and call HANNAHS FLORIST / YACHT FLOWERS. We work with local florists and flower shops to offer same day delivery. You will find budget sympathy flowers in Tamarac here. Our funeral flowers are cheap in price but not in value. Is it Better to Buy Burial Insurance or Life Insurance?